The recent success of our Kickstarter campaign for our Bike Shift Lever has kept me focused on product development. Because this shift lever is designed for the needs of people who rely on their bicycle, my main concern is durability and repairability even as we keep the cost low. Unlike the bike industry, One Street Components must design our parts to last for many years, not just one. The bike industry’s obsession with yearly obsolescence of bikes and parts has led to flimsy products that hardly last a year and cannot be repaired. They’ve also managed to create gear, brake and wheel systems that are not interchangeable with others so the entire system must be thrown away if even one of its parts breaks. And you can bet they will. When I owned my bike shop, this drove me crazy right along with my customers who had to pay the bill. Now at least I have the opportunity to create alternatives. I understand that companies must earn profits. Even One Street Components must ensure that we price our shift lever and later products to ensure we cover all costs as well as earn some profit in order to continue production. And we’re a nonprofit organization. 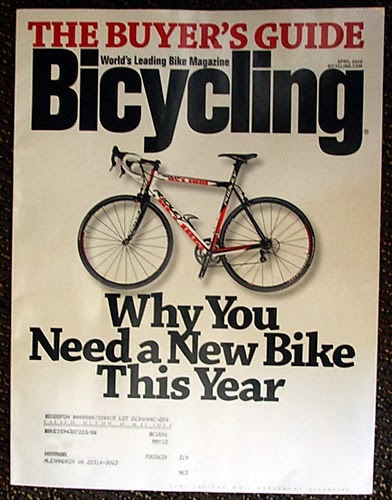 What baffles me is the bike industry’s fixation on selling to the same bike enthusiasts they’ve been selling to for the last thirty years. They seem to believe that as long as they can convince these same cyclists to replace their bike every year, the bike industry will thrive. None of the large bicycle or parts manufacturers seem to recognize the vast majority of people who are either stuck with department store junk bikes or are not riding a bike yet. I look at the 80% of the world’s population who are living in or near poverty and see customers who are longing for an affordable, quality bike with parts they can repair themselves. The bike industry doesn’t see them at all. I could rant about this for pages, but since this is a blog post, I’d better stop here and leave more for future posts. If you have something to add to this, please leave a comment. As an advocate of the K.I.S.S. rule, I loved the video you made for the kickstarter project. I'll be watching with great anticipation, for the shift levers and other products you develop. 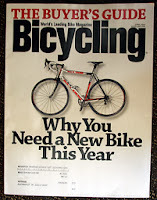 I own and wrench on many bikes and for years felt the industry was trying to squeeze me and my trusty old drivetrains out in favor of the newer 9, 10 and 11 speed cassettes, derailleurs and shifters. Increasingly complex, built to wear quickly and non-repairable; boy you hit the nail on the head. Luckily, Tucson Arizona has a great source of old parts and knowledgeable staff in the non-profit, BICAS (bicas.org). - keep up the good work. Thanks Joseph. I am also thrilled with the opportunity to develop simple, durable bike components that remain eternal. To me, this is key to breaking down barriers to bicycling for multitudes of people who are repelled by the current complexity and expense of products made for racing.